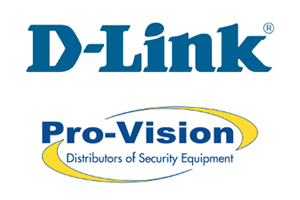 London, Monday 16th June 2014 – D-Link today announced the appointment of Pro-Vision Distribution Ltd, the distributor of branded CCTV and access control equipment. Pro-Vision will carry D-Link’s full line-up of IP Surveillance Solutions, including IP cameras, network storage devices and comprehensive array of network infrastructure products including IP switches, routers and wireless access points. The most popular lines will be available from stock and delivered by a next working day service. Pro-Vision supplies the trade with branded equipment and associated security products. Its appointment will enable D-Link products to reach a wider audience of professional installers. D-Link offers a comprehensive range of IP Surveillance solutions that includes not just an array of cameras to suit a wide variety of requirements, from cameras to suit small businesses right up to enterprise-class solutions, but also the infrastructure to successfully and reliably support a full implementation, including switches, network video recorders and surveillance management software.